This event is created to fill out LEBL, because is one of the big number of underrated airports in Infinite Flight. 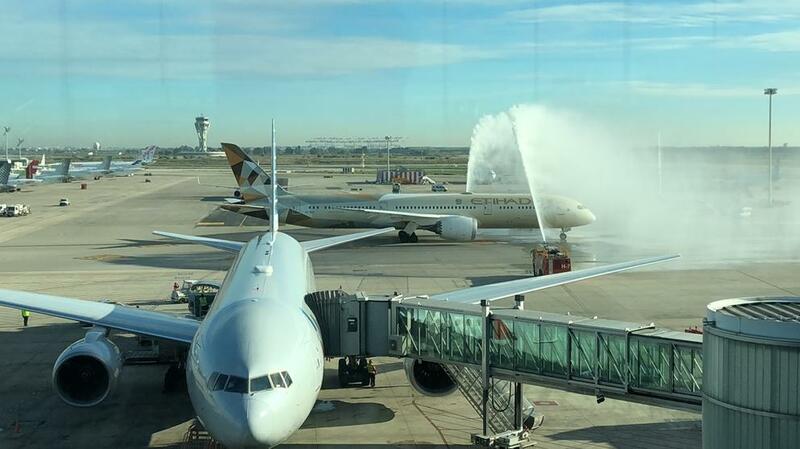 Barcelona-El Prat (LEBL), in 2018 was the 27th airport in the world at passenger number in 2018, and during a year has more international passengers than John F. Kennedy Airport (KJFK) or Narita Airport (RJAA), and in a good day for LEBL in Infinite Flight there were 5 aircraft. So with this event we want to remember people that LEBL is a huge airport where they can fly around the world. After that said, WELCOME TO LEBL! NOTAM: No routes, free choice! Just follow ATC instructions. As the event is in Training server, ATC is needed. In LEBL there is Approach ATC, Tower and Ground, but not departure, so Approach must act as departure. To be an ATC in this event, please PM @Infinite2674 to receive details about Departure/Landing runways and more things. Before choising a gate, take in care this: LEBL is the HUB for Vueling (Terminal 1) and LEVEL (Terminal 1) (not in IF). Also, LEBL is BASE airport for Air Europa (Terminal 1), EasyJet (Terminal 2), Norwegian (Terminal 2) and Ryanair (Terminal 2). For gate assignments, you just have to reply saying the gate you want (if you don’t have any preference, we will assign you a gate), the route you will be flying and the callsign. Example: "I want gate 240, the route is LEBL-LEPA and my callsign is Vueling 163. If someone just want to spot the event, please PM @Infinite2674 and a special gate will be assigned to you. Although there are no assigned routes, we would like to recommend you some specific routes, for example routes to popular IF airports. LEBL (Barcelona) - LEMD (Madrid) is the most popular route in Spain, operated more than once a day by AirEuropa 787s and AirEuropa A330s. LEBL (Barcelona) - LEPA (Palma de Mallorca) is a short but popular national route out of LEBL, and LEPA has a lot of German and British destinations. LEBL (Barcelona) - EGKK (London Gatwick) is the most popular european route out of LEBL, operated by Vueling and other airlines. LEBL (Barcelona) - Funchal (LPMA) is an indiferent route, but we all know the diffuculty of Madeira’s airport, so it’s an interesting challenge. LEBL (Barcelona) - OMAA (Abu Dhabi) is a very recent route operated by Etihad and their Dreamliners (787). LEBL (Barcelona) - KLAX (Los Angeles) is operated by Norwegian which is growing in long haul low cost routes at LEBL. LEBL (Barcelona) - VHHH (Hong Kong) is operated by Cargolux in a Boeing 747, and connects LEBL to the biggest airport in terms of cargo directly. LEBL (Barcelona) - OMDW (Dubai-Al Maktoum) operated by Emirates SkyCargo to the planned biggest airport in the world, more than 10 times bigger than Dubai International Airport. And the callsign and gate? Ok, what time is it in BST? Any gate Vueling A320 to EDDT Callsign Vueling 21.